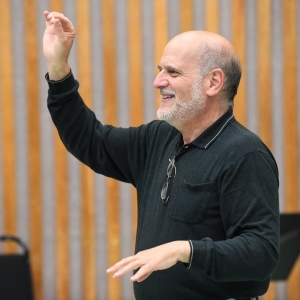 Montreal-born Richard Hoenich enjoys a distinguished career as a performer, conductor, and educator. He has conducted professional orchestras on four continents and at such prestigious venues as the Teatro Colon in Buenos Aires, the Zarzuela Theatre in Madrid, and the Salle Pleyel in Paris. In Canada, he has conducted the Toronto Symphony, Vancouver Symphony, and the National Arts Centre Orchestra in Ottawa, among others. During his tenure as principal bassoon with the Montreal Symphony Orchestra from 1979 to 1991 he was appointed associate conductor of the MSO by music director Charles Dutoit. Richard has recorded extensively both in the orchestra and on the podium and appears on CDs issued by Decca, New World Records, Albany, Liscio, Marquis Classics, and McGill Records labels. In 1992, Richard was appointed director of orchestral activities at the New England Conservatory of Music in Boston, a position he held for ten years. He also worked closely with Michael Tilson Thomas at the New World Symphony in Miami, an association that resulted in his being the first guest in the orchestra’s history to be invited to conduct a foreign tour to Costa Rica. Richard’s work with gifted aspiring professionals in Boston and Miami inspired him to devote part of his energies to help mould the next generation of orchestra performers. To that end, he returned to Canada to establish the Brooke Valley Musician’s Retreat in rural Ontario, where he works with professional musicians seeking an orchestral position.